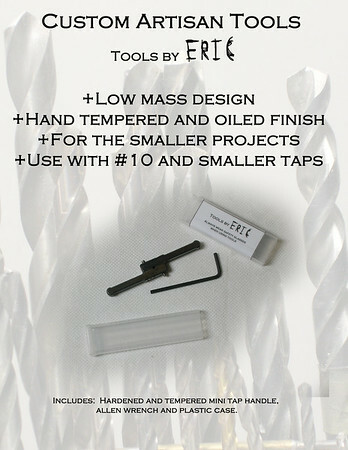 A custom set of tools for those tiny and tough tapping jobs. Use high visibility scribe to mark the spot. Mark the spot with the micro center punch and brass hammer. 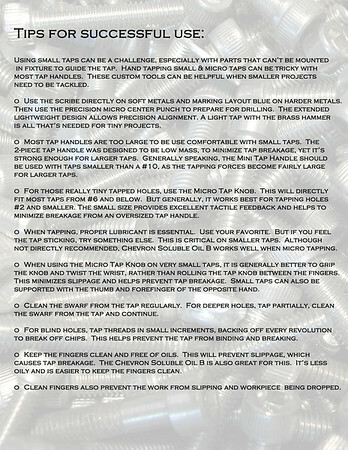 Then use the mini tap handle for taps #10 and smaller or the micro tap knob for taps #6 and smaller. 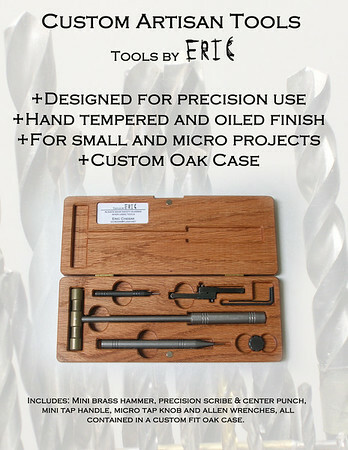 All these tools are contained in a custom oak case (actual case appearance may differ due to wood variability). Made of brass, stainless steel, hardened and hand tempered tool steel. Click the CONTACT ME link for more info or to make a purchase. 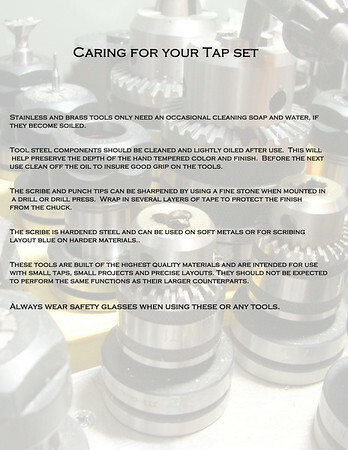 A custom tap handle for the smaller hand tapping jobs. Best when used on taps smaller than #10. Comes with hardened and hand tempered tool steel tap handle, Allen wrench and plastic storage case. Click the CONTACT ME link for more info or to make a purchase. 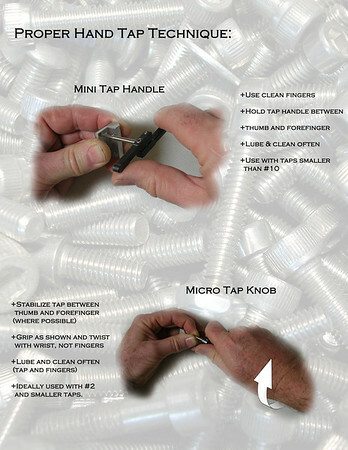 A custom micro-size tap knob for those really tiny taps. The low mass reduces the risk of breakage and provides superior tactile feedback. 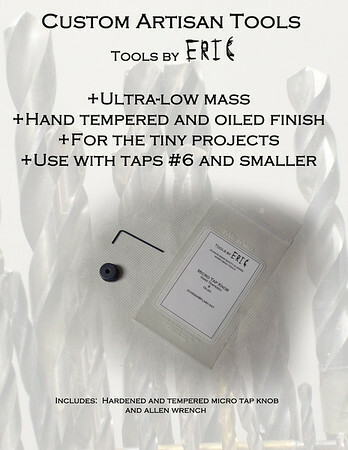 Comes with hardened and hand tempered tool steel tap knob, Allen wrench and plastic storage bag. Click the CONTACT ME link for more info or to make a purchase.